If you’ve never heard of the term “flying splices”, you’re not alone; and if you think it sounds like a sci-fi reference or an exotic insect, we don’t blame you. However, flying splices are a very real, very dangerous and very common electrical issue—particularly in older homes—and are one of the top causes of house fires. Not sure whether your home’s electrical wiring has flying splices? Not to worry! The electrical experts at Farryn Electric have three facts about flying splices to help you understand what they are, the dangers they impose, steps you can take detect them, and ultimately, protect your home from an electrical-related fire. The term “flying splices” is an electrical term for wiring that has been spliced together, meaning that the wires have been connected, left open and not enclosed in a junction box. Unfortunately these connections become loose, and because they are not in a box (they are hidden in walls and ceilings) They are very hard to detect. Not to be “captain obvious” but those things that have a potential for causing fires should be in a box and their location should be known. Unfortunately, this technique is found in the oldest forms of wiring like knob and tube wiring, in residential homes, and other generations of wiring as well. Not only is this technique now illegal, but it also is creating a dangerous situation for you and your home. Although flying splices are more typical in older residences, it is still possible that your newer home is suffering from them as well. 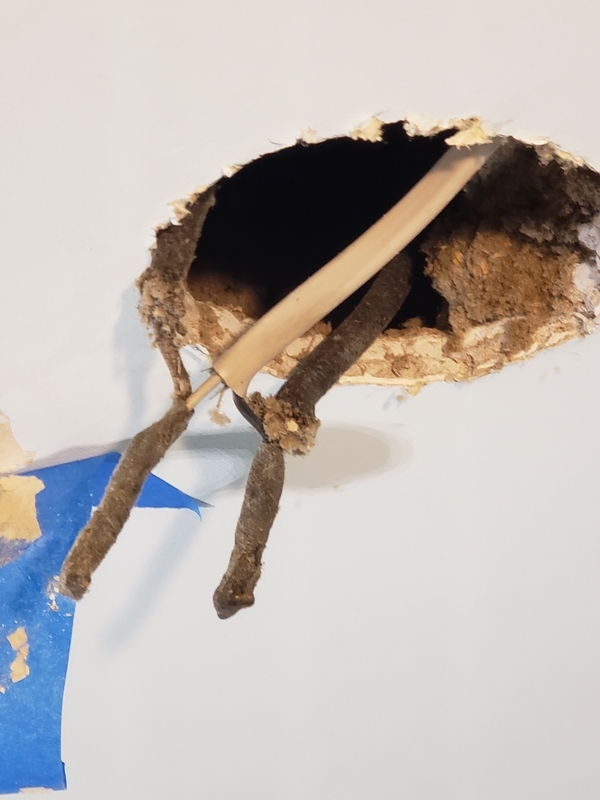 Like many situations in life, some people are not qualified to do the job they are hired to do, and your flying splice situation could be the result of poor workmanship and an uneducated electrician. What makes flying splices so dangerous to you, your loved ones and your home? Many times, the wiring in a home is located within the walls and ceilings, making it so you will never be able to see it and therefore, you will never know if this dangerous wiring is there. Out of sight, out of mind, right? Not quite. Due to the increased susceptibility of sparking, flying splices are one of the top causes of house fires, but since you cannot see them, how can you protect your home from them? Read on to learn how you can discover if your home has flying splices and how to combat this dangerous issue. Luckily, flying splices are not a permanent issue, and with the help of a knowledgeable and experienced electrical expert, the issue can be fixed. First thing’s first: You must hire an electrician to find any weak and dangerous wiring in your home. At Farryn Electric, we have the tools and knowledge to not only detect flying splices, but we will do so without making any holes—a skill both you and your home will thank us for. If it is determined that your home has flying splices, the wiring connection will be corrected and your home will instantly be safer. When it comes to your home’s electrical wiring, stop living by the “what you don’t know won’t hurt you” mentality, especially if you live in an older home. Flying splices are highly dangerous, and as previously mentioned, highly prevalent in older homes. Don’t rely on luck—contact the team at Farryn Electric today! 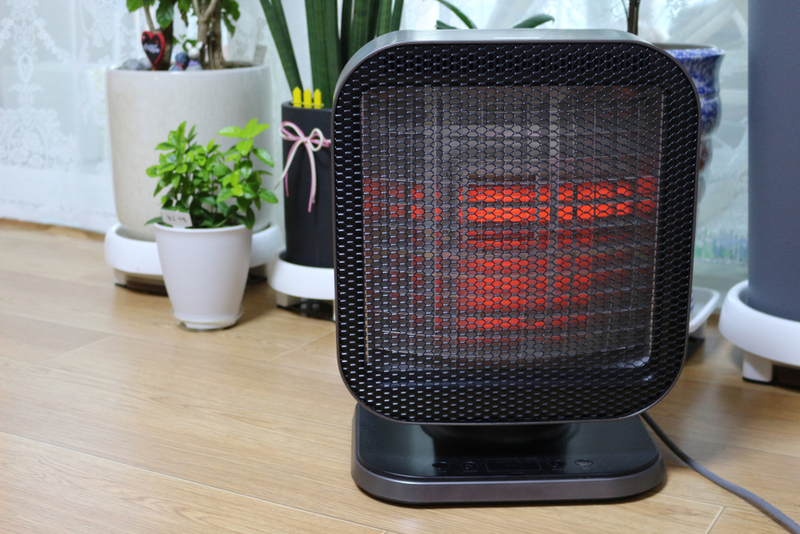 Space heaters can be a huge help during chillier days, but they can also be a huge safety hazard. From starting home fires to overloading circuits, space heaters can be a danger to you, your loved ones and your home. But knowledge is power, and the electrical experts at Farryn Electric are sharing our space heater knowledge with you, so they can heat your home, rather than hurt it. Space heaters pose both a shock and fire hazard—that is why it is crucial to check the unit regularly. Some things you should be checking for are frayed wires and accumulation of dust on the unit’s coils, grates or grill. Just as other appliances in your home have life spans, so does your space heater. If yours is an old model, upgrading to a newer model will provide you with an appliance that should have new and improved safety features. To help decrease the chances of being electrically shocked by your space heater, do not use one in a room where moisture builds up, such as bathrooms and kitchens. Many times, some areas of a space heater can become dangerously hot to the touch. When this happens, they pose a threat to children, pets and adults. For kids and your furry friends, a hot to the touch space heater means they are extremely vulnerable to getting burned; for adults, burns can occur by accidentally brushing against the hot surface. Another hazard that occurs in this situation is that clothes can catch on fire. To keep everyone and everything in your home safe, don’t leave pets or young kids alone with a space heater and opt for a unit that’s equipped with a protective guard around its heating element. Because space heaters use a lot of electricity, they can easily overload your circuits, which can result in a power failure or fire. To decrease your chances of overloading your circuits make sure you have dedicated circuits installed, just as you would a washer or gas dryer. If you’re using an extension cord with your space heater—or if you’re utilizing the extension cord to power too many appliances in general—contact a professional who will ensure your electrical outlets and your home are safe. When it comes to space heaters, bigger does not necessarily mean better. In fact, tall space heaters are particularly susceptible to tipping over, which means they pose a higher threat of starting a fire. Although the industry has taken great steps in installing anti-tip detection, older models may not have this safety mechanism. Whether you need your electrical outlets repaired before you plug in your space heater or are interested in having permanent heating sources installed, Farryn Electric has what you need! Contact us today for all of your electrical needs. Generators are the reason you can keep your home warm and cozy in the winter, even if you lose power in a snowstorm. But, there are safety precautions you need take when handling them. At Farryn Electric, we care about your safety as much as taking care of your electrical needs, so we’ve come up with three safety tips for you to keep in mind when using your generator this winter. Where you place your generator is extremely important. To keep you and your home safe, choose a location that permits proper exhaust ventilation and is a solid 20 feet away from vents, windows and doors. A big generator no-no? Using a generator in an attached garage. Even if you keep the garage door open, using a generator in this location is a big safety hazard. In the case of improper generator operation or function—heaven forbid—carbon monoxide may leak out and into your home, creating a dangerous situation. While the odds of this happening are slim, it’s best to be prepared. If your home is not already equipped with carbon monoxide detectors, and you know you’re going to be using a generator this winter, it’s important that you get one installed right away. 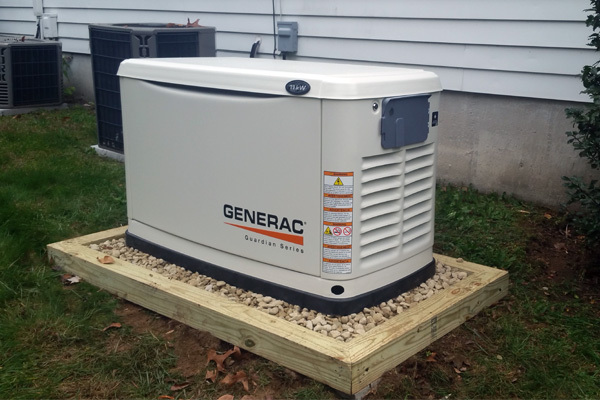 Just as you need to take safety precautions with your generator, it’s important to also be safe when handling its fuel. For example, before you refuel your generator, always remember to first turn it off and let it completely cool down. If you need to store the fuel, make sure that it’s in a container specifically for storing fuel and be sure to label it properly. Once you’ve done that, the fuel should be stored outside of your living areas. Whether you’re interested in having a generator installed, need to have yours repaired or would like to ensure your current one is well maintained, Farryn Electric can help! Contact us today for all of your generator needs. Call us today at 484-316-0449!